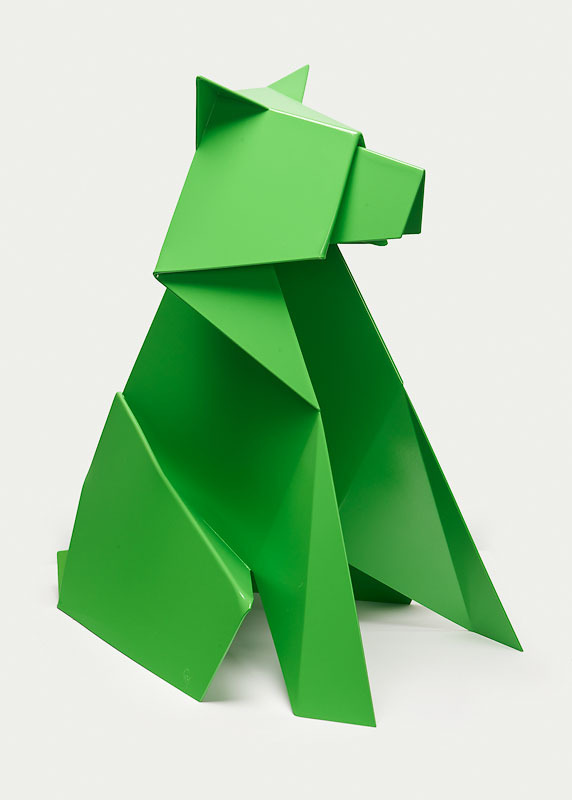 Portraying a whimsical fauna, Hacer’s metal sculptures radiate the joy of childish games. 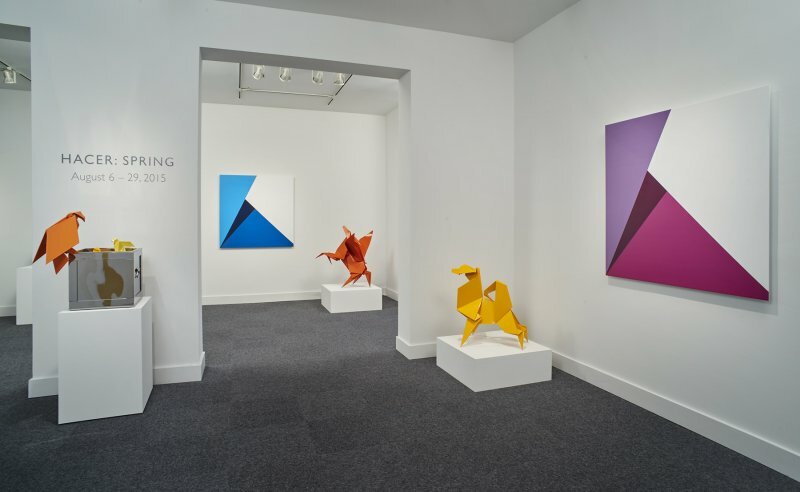 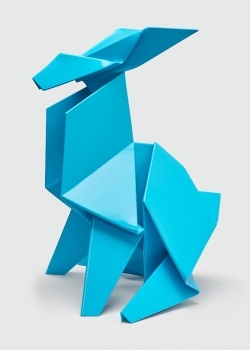 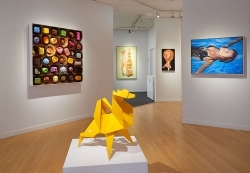 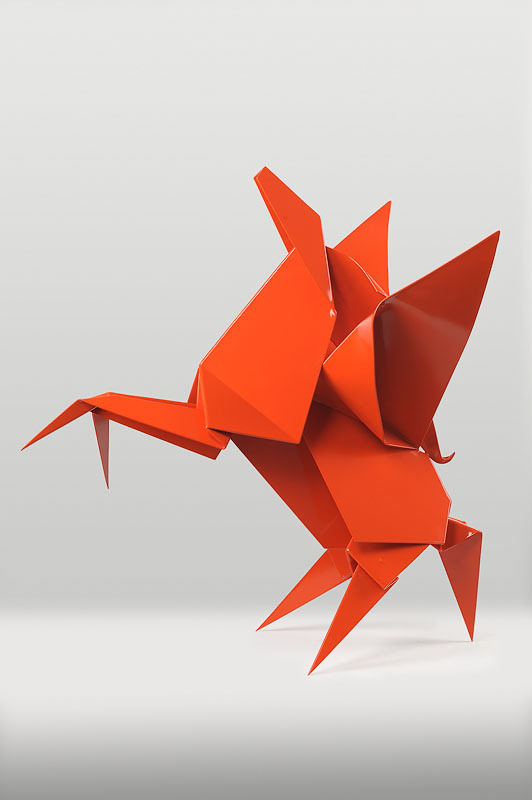 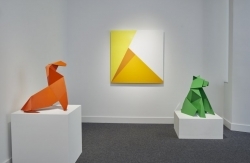 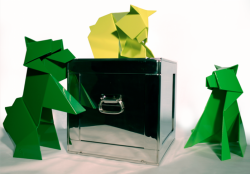 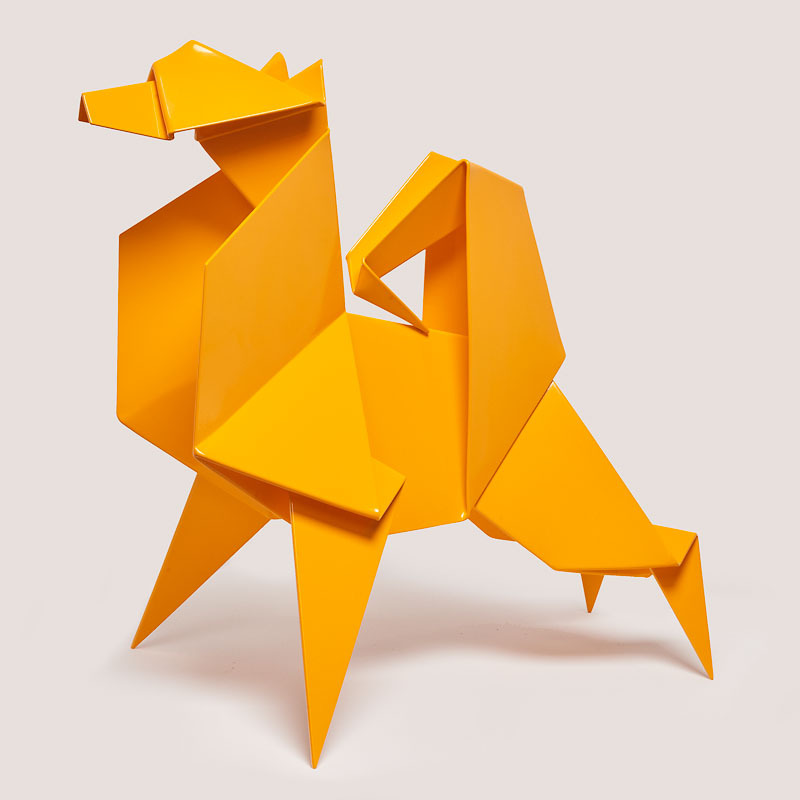 With sharp lines and colorful shapes they appear to be made of folded origami paper, but are realized in connected sheets of powder-coated steel. 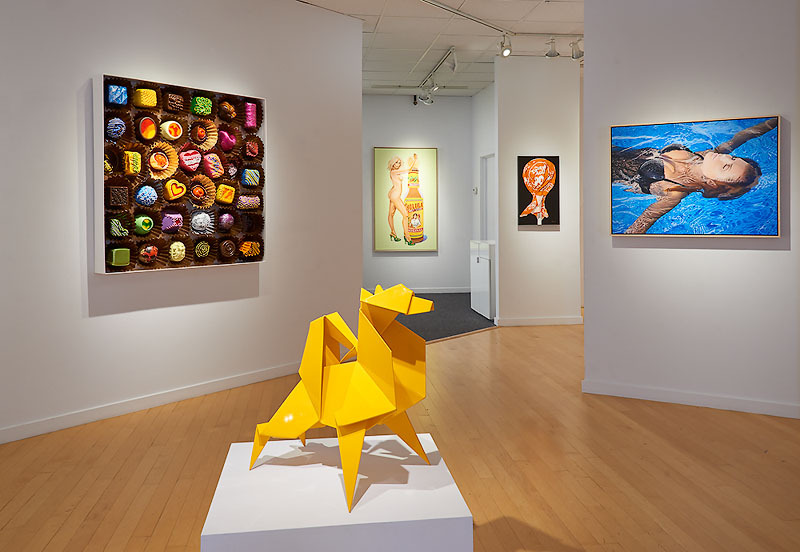 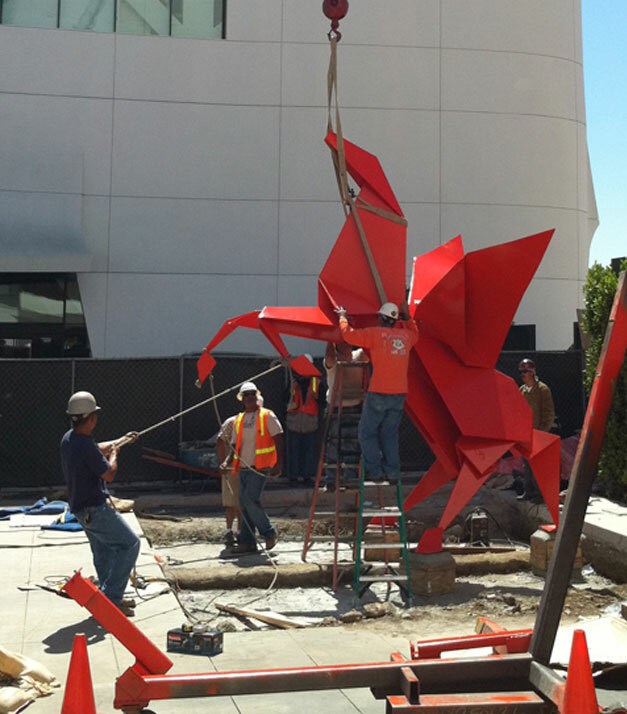 Hacer’s work has been exhibited at the Urban Institute for Contemporary Art, Grand Rapids, MI; the McNay Museum in San Antonio TX; the Laguna Art Museum, Laguna Beach, CA; the Los Angeles Pacific Design Center, the Autry National Center Southwest Museum, and the Los Angeles Trade Technical College, Los Angeles, CA; University Hospitals Case Medical Center, Cleveland, OH; and the Wynn Macau Luxury Resort in Macau, China. 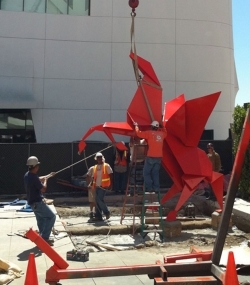 Hacer lives and works in Los Angeles, CA.